You must be a member of the Houston Salsa Dancing Group to attend this activity. Would you like to join this group? 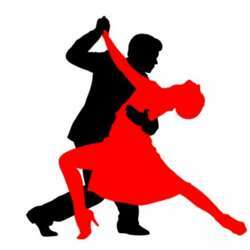 Every 1st Friday of the month, Protected content welcomes everyone for Salsa Social Night. Let's come altogether 1st Friday of February for the perfect night of dancing. Come join for a great night of dancing and socializing. The rule is very simple; You can bring a dish to share to get in FREE or if you do not want to bring anything, it costs $10. Feel free to bring your friends too!